HONOLULU – Gov. 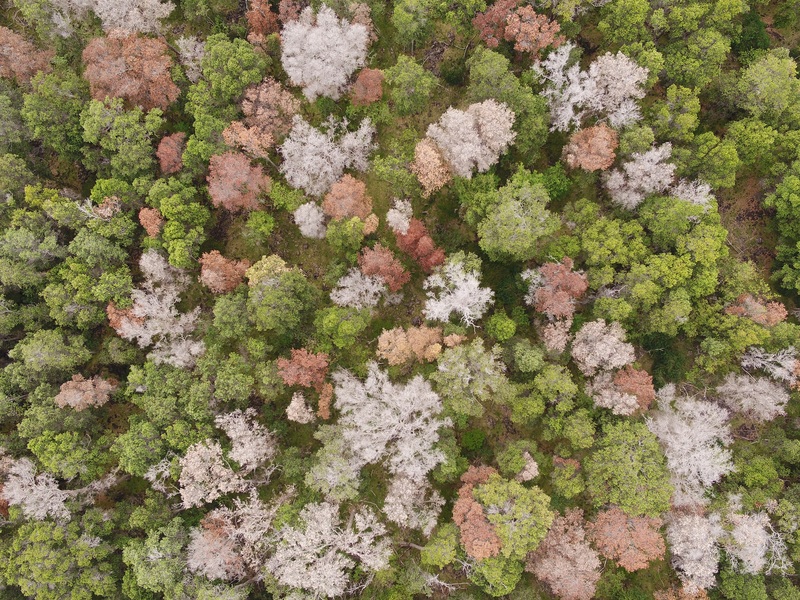 David Ige announced today that he has released $1.264 million to fight Rapid ʻŌhiʻa Death (ROD), a fungal disease attacking and killing the most abundant native tree in the state of Hawaiʻi. “The ‘ōhiʻa tree is the foundation of Hawaiʻi’s native forest, and it is critical to the health of our watersheds and ecosystems. Scientists are working hard to stop its spread, but many trees have already died on Hawaiʻi Island. This funding is focused on a Hawaiʻi Island-based response,” said Gov. David Ige. The Department of Land and Natural Resources (DNLR) is using the funds for survey, research, and outreach activities and will be hiring staff through the University of Hawaiʻi. • Contract with the Carnegie Airborne Observatory to conduct additional aerial surveys on both Hawaiʻi and Maui islands using cutting-edge spectroscopy and LiDAR technologies. Surveys will be flown this month and complement earlier surveys from 2016 and 2017. • Hire a full-time laboratory technician with an advanced degree in plant pathology to increase capacity for diagnostics and ROD research and continue preliminary genetic resistance work. • Hire a full-time data management specialist to manage project data that is being stored in a DLNR hosted geo-spatial database accessible to all project partners. This database includes data from aerial surveys (both DLNR helicopter surveys and Carnegie data), ground surveys and laboratory results. • Increase public outreach on Hawaiʻi island including producing and airing radio and television public service announcements and sponsoring community events. • Contract forest pathology expert with experience in Ceratocystis diseases to conduct research and advise DLNR about their management. • Support existing project staff of survey technicians (4), research post-docs (2) and to continue ongoing ROD research that otherwise would run out of funding before the end of FY18. • Contract helicopter service for quarterly surveys and transporting crews to sites for survey and management. • Purchase supplies and equipment such as chainsaws for on-the-ground team.